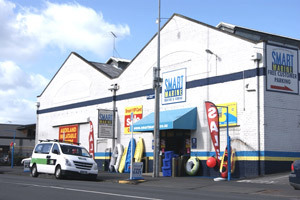 Smart Marine is proudly a New Zealand family owned and operated retail business which has been serving the boating & fishing community for nearly 3 decades. 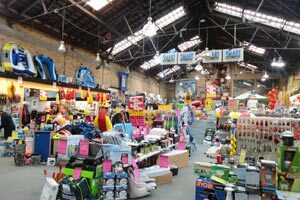 Our 2 Auckland stores & website feature the largest specialist marine equipment range in the country and we are dedicated to supporting Better Boating & Fishing with the Smartest Selection, Value and Service. 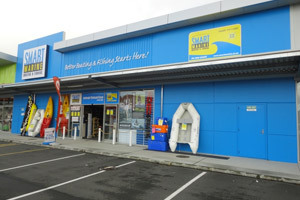 You will find us in our 2 very Smart retail stores in Auckland and right here at www.smartmarine.co.nz. Beaumont Street, Westhaven is our flagship store and and we invite you to check out our exciting new Lunn Ave, Mt.Wellington store. 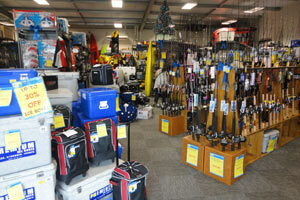 We also feature an extensive range of exclusive imported products plus dedicated RV, motorhome & camping supplies. SmartWeb orders can also be conveniently collected from either store. We also have access to many more special order items so please feel free to contact our Super Smart, 'Smart Crew' for specialist assistance or general inquiries. You can free call the crew on 0800 80 50 40 and can also make phone orders via this number or email info@smartmarine.co.nz. SmartWeb and mail/phone orders are shipped quickly on weekdays usually with 1 days for North Island and 2 days for the South Island, with insurance and easy online track/trace so you know your parcel is on the way and secure. See the shipping section for more details. We also ship worldwide and are happy to provide shipping quotes to your international destination. 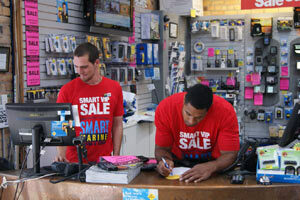 For the very Smartest way to shop Smart Marine, make sure you become a Smart VIP Card member now. You can start shopping now and join for card prices during checkout. To keep up to date with all things Smart & to get first notice of exclusive Smart VIP card deals & events, ensure you sign up for Smart emails, read our SmartWeb news section, Like our Facebook page, Follow us on Twitter & connect to our YouTube page! Click the links below to make sure you are "All Aboard" Social networking & subscribed to Smart Marine. Please read our Feedback page and please send us your SmartWeb, Store & product reviews. We post all reviews, even if negative as it really helps other like minded boaties in their choices and ensures Smart Marine maintains high service standards and provides the products you like. See our Customer Feedback page and Review Guidelines for more details. We look forward to seeing you Shopping Smart instore or on the SmartWeb and thank you for choosing to shop with Smart Marine. Happy Boating & Fishing from the Smart Crew!